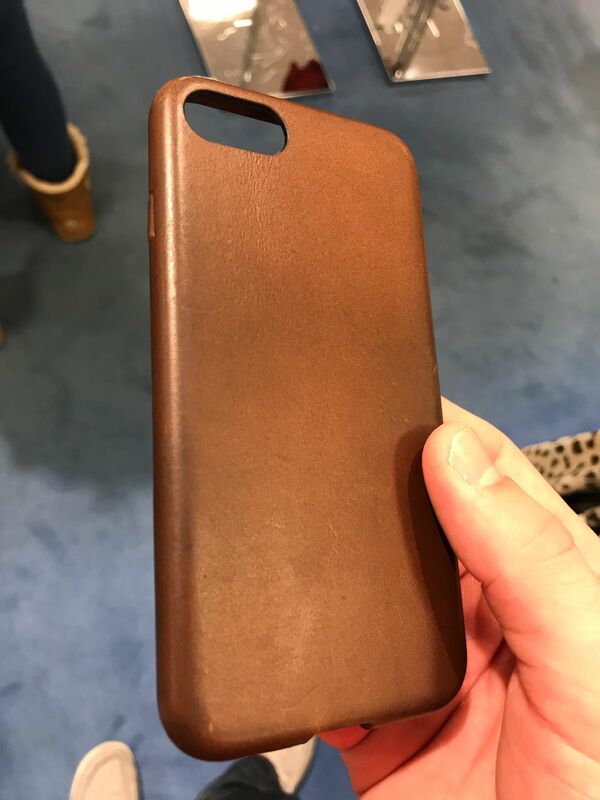 Evan C. S. Reviewed by Evan C. S.
High Quality Leather iPhone Case That Is Aging Well! Just what I wanted, an elegant case that looks at home in the car, outdoors or with a suit. Quality materials and craftsmanship​. Lighter than I expected too. Good stuff! John B. Reviewed by John B. Like with all decent leather goods, it’s a tight fit at first. Screen lock button would go of and on. After a few days of normal use it’s perfect. I say it’s a style investment because after handling it for a while the leather ages and looks even better than it did when you first put it on. Zach W. Reviewed by Zach W.
Premium case, exactly as advertised. This case is worth every cent you pay for it. The leather “knicks” and scrapes, but adds to the look which pairs well with the aging leather. I have had my case for a month now and it is already well aged. Have and would recommend to anyone looking for clean, unique, and sharp case.